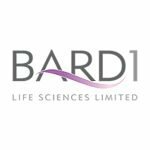 BARD1 Life Sciences Ltd (ASX:BD1) is an Australian life sciences company developing novel diagnostics and therapeutics for unmet needs in cancer. Its proprietary BARD1 Technology is based on BARD1, a potent tumour suppressor in healthy individuals and important tumour biomarker in cancer. Its lead product the BARD1 Lung Cancer Test is a non-invasive blood test in development for early detection of lung cancer. BARD1 Life Sciences Limited (ASX:BD1) has both lung and ovarian cancer in its sights. If you are going to beat cancer, your best bet is to catch it early. Of course, that’s easier said than done. By the time the symptoms of many cancers are apparent, a patient is often already in late stages of the disease. This is particularly true for lung cancer.